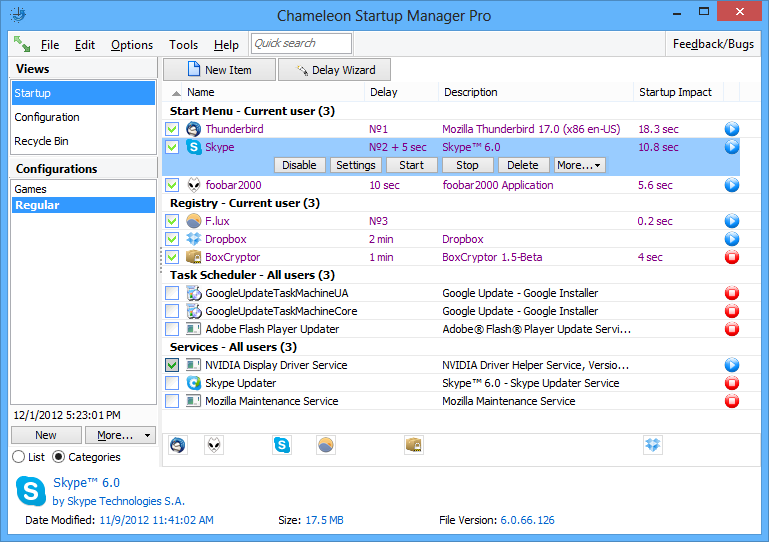 Chameleon Startup Manager is a startup manager (system configuration utility replacement) that enables the full customization of startup programs, including startup order change, startup delay and much more. 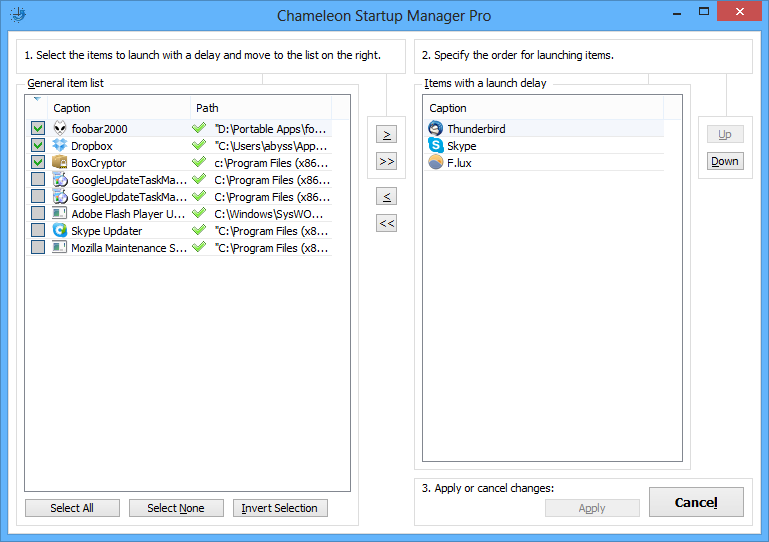 Chameleon Startup Manager will help with the following options if you need a selective startup at Windows startup (ie to run different startup programs for work, games, etc), or if you want to use startup repair. Any number of Windows startup configs can be created and loaded at Windows startup or applied 'on-the-fly' without restarting Windows. 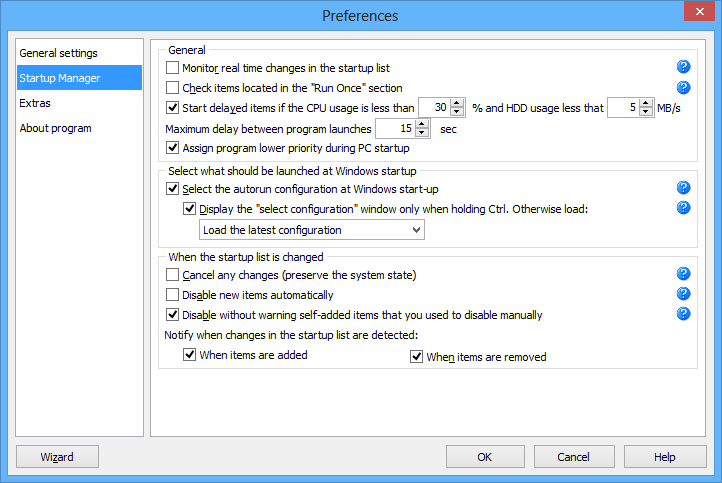 The Windows startup configuration selection dialog box is displayed at Windows startup. 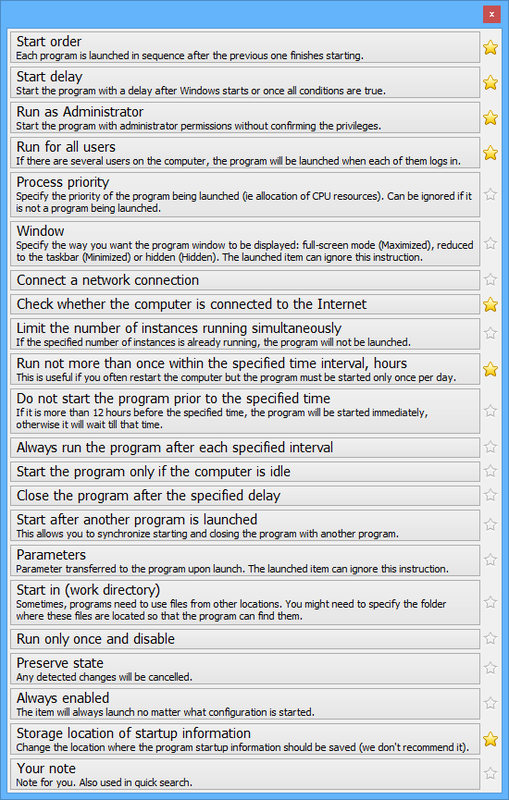 If only one windows startup config is usually required, this can be loaded by default. The configuration selection dialog box can be displayed by holding down the Ctrl key at Windows startup. Nothing will load as an option will be available later to select the necessary Windows startup config from the menu in the system tray. 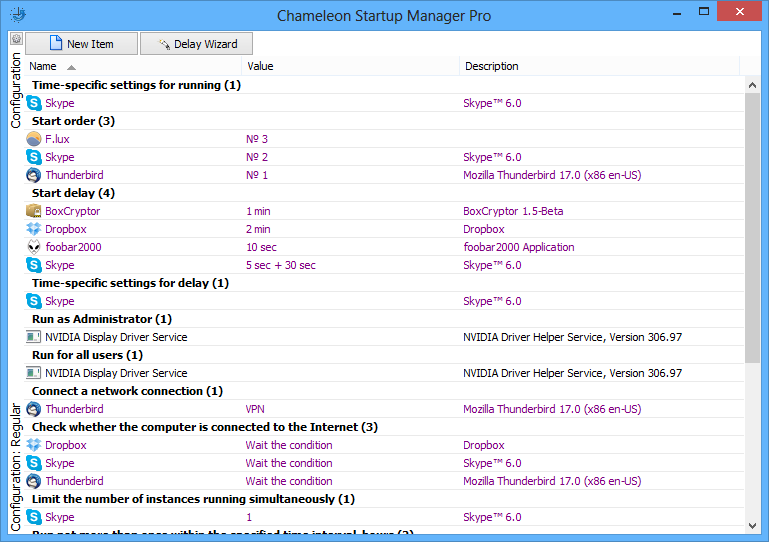 Chameleon Startup Manager also keeps the history of changes in Windows startup configurations, which enables use of the startup repair if any changes are made by mistake.